Pablo Andrés Contreras Fica (born September 11, 1978) is a Chilean footballer who plays for PAOK F.C. in Greece. Primarily a central defender, he can also operate as a right back. He also holds a Spanish passport, courtesy of the years spent playing in that country, namely for Celta de Vigo. A highly-experienced central defender or right-back who has a half-century of caps to his name but is primarily employed these days as a back-up. At the 2007 Copa America, he was one of a group of Chilean players who were punished for unruly behaviour at the team hotel. He served a 10-match ban for his indiscretions before being reinstated. Since leaving mother club Colo Colo in 1999, Contreras has been a true globetrotter, playing for Monaco, Racing Club in Argentina, Spanish sides Osasuna and Celta Vigo, Sporting Lisbon and Braga in Portugal and latterly PAOK, whom he signed for in the summer of 2008. In January 2001, it came to light that he had used a fake Italian passport to gain EU status and he was banned from France for two years. Contreras has certainly enjoyed a colourful career and adding a World Cup to his C.V. will merely add to his fascinating story. 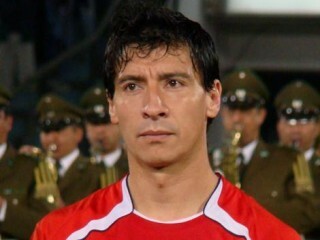 Contreras made his debut for Chile team on February 17, 1999 against Guatemala. He was then picked for that year's Copa América in Paraguay, helping the national side finish in fourth position. In 2000, Contreras participated at the 2000 Summer Olympics, where Chile won the bronze medal, and the player was named one of the best defenders in the tournament. He also featured prominently in qualification for the 2002 and 2006 FIFA World Cup, with Chile failing to make the final stages on both occasions. One of the darkest moments in Contreras' career happened during the 2007 Copa América. Alongside Reinaldo Navia, Jorge Valdivia, Rodrigo Tello, Jorge Vargas and Álvaro Ormeño, he was involved in an incident at the team's hotel, with the establishment's staff. The employees claimed the team players were celebrating drunk, throwing food, and destroying hotel property after qualifying for the second round of the tournament - Chile lost the next game 6–1 against Brazil. Afterwards, national coach Nelson Acosta resigned and all the players involved were suspended 20 games by the ANFP. After serving ten games, Contreras, as well as the other players involved - with the exception of Ormeño - signed a letter admitting their involvement and apologizing for the incident, and the punishment was made without effect. After being reinstated, Contreras became an important member under Marcelo Bielsa, as Chile qualified for the World Cup in South Africa, the nation's first in 12 years.